People are engaging with brands very differently than they did a few years ago. 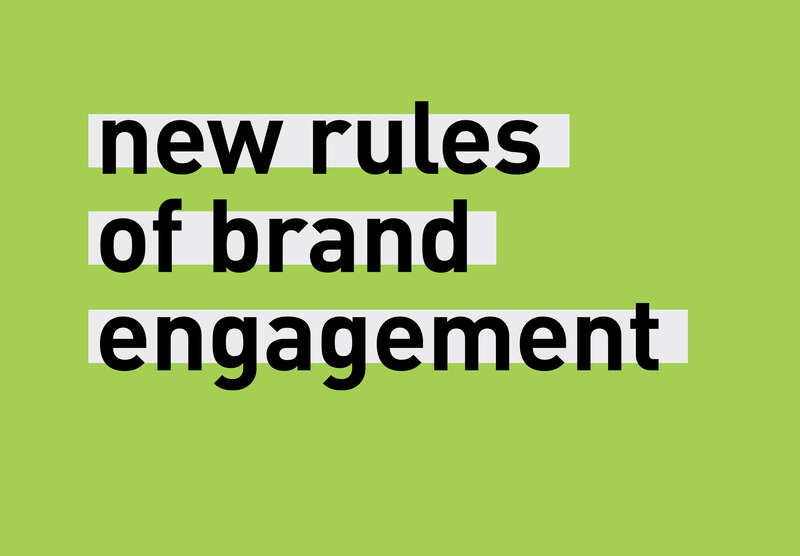 Here are a few rules of brand engagement for 2019. “There was a time, going back at least 70 years, when all it took to be successful in business was to make a product of good quality,” writes The Atlantic. Those days are long forgotten. We now live in a world where there are countless high-quality, almost identical products to choose from. So, back in the 1950s, companies like Procter & Gamble and Unilever developed the discipline of brand management. They appointed brand managers to distinguish nearly indistinguishable products by giving each their own identity and a “branded proposition”. Of course, the discipline of brand management has evolved a lot since then. As brands have evolved over time, so has the way people interact with them. Now consumers expect more than just a good product. They expect brands to be transparent and responsive. Consumers are savvier and less trusting of brands. And they’re gravitating towards brands that have a strong social purpose. This is changing how brands look, feel and talk. One of the biggest drivers behind the new rules of brand engagement is (obviously) technology. Today’s brand identities need to respond to different mediums and social platforms. It’s a good idea to work with an experienced branding agency: they can help you think about the different contexts your logo will be used in, and create logo variations accordingly. A responsive logo is fully scalable, which means it can adapt to whichever platform it is viewed from. A newer trend is “dynamic identities” where logos respond to data – they may change based on whether a user is signed in or out, for example. Instead of designing a single static logo, you might consider creating several variations, including animated versions of your brand identity. Companies also need to think about how their brand will work across both physical and digital environments. Brands are shaped by their environment, which means they need to be flexible enough to work digitally, in pixels, or architecturally, in three dimensions. A good example is Scentre Group’s Sydney headquarters, where the brand’s global footprint is visualized using huge panoramic imagery, world maps and a single red line representing Westfield’s DNA. Telstra also expresses its brand principles across 16 levels of their landmark headquarters, where the branding integrates seamlessly into the architecture. In other words, it’s time to start thinking about extending your brand beyond print, digital and built environments. How will your brand look, sound and feel within augmented and virtual environments? If you’re a brand marketer today, you need to think about creating responsive, contextual identities. It’s also a good idea to work with an experiential design studio. Unlike traditional branding agencies, experiential design studios specialise in designing branded experiences and branded environments, not just identities. It’s safe to say that brands of the future will exist within more immersive, sensory environments. So if you haven’t already begun to think about how your brand will play out in multiple dimensions – not just physical environments but also virtual and augmented worlds – 2019 might be the year to start.